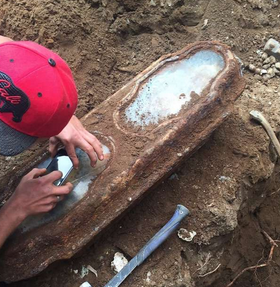 Last month construction workers made a bizarre discovery while digging under a San Francisco garage – a glass paneled coffin. But things got even stranger when they realized they could see the well-preserved remains of a 19th century little girl holding a flower. 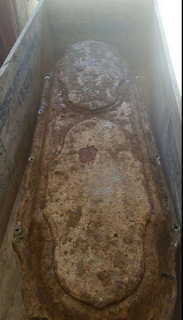 The 3-and-a-half foot long lead and bronze coffin has two glass windows covered with dirt and grime. But when workers wiped them off, they could see a blond haired young girl dressed in white. Researchers have determined this residential neighborhood was once the home of an Odd Fellow Cemetery during the late 1800s. It is estimated that about 30,000 people were buried there. Apparently, when bodies were relocated to a common burial plot in Colma, California during the early 1920s, the toddler’s grave was missed. 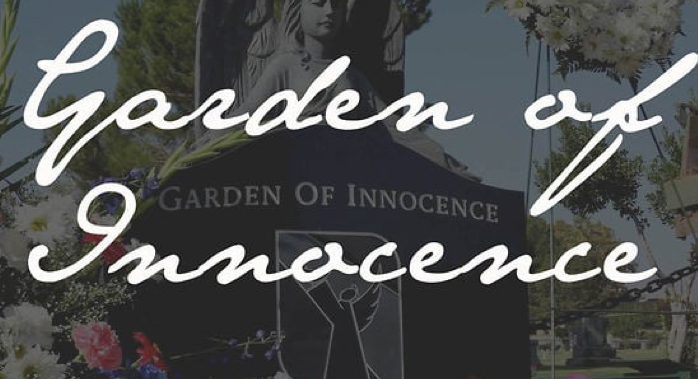 The City of San Francisco said it was the homeowner’s responsibility to deal with the child’s remains so the residents contacted Garden of Innocence; a California group that buries abandoned children. The organization estimated the girl to be about three-years old when she died. They plan to hold a graveside service for her at Colma, California where the other caskets were reburied almost 100 years ago. The child’s body was nestled in a bed of eucalyptus leaves. Her clothing indicates that she came for a family of means. She held a pink rose in her hand and someone had woven lavender in her long blond hair. Her identity is not known. *Special thanks to Mike Murray for this fascinating tip!